The Green Footprint Project is a partnership between the Waihora Ellesmere Trust, Youth Hostel Association, Selwyn District Council and Enviroschools. The project initially begun in 2006 with a MOU between Waihora Ellesmere Trust, YHA New Zealand incorporated, Landcare Research and the Selwyn District Council. In 2004, YHA New Zealand Inc. made a commitment to offset 333.33 tons of carbon dioxide; approximately 40% of its total carbon emissions in 2003/2004. As part of this commitment, YHA New Zealand Inc. created the Green Footprint project. Through this project YHA staff, members and travelers visiting New Zealand are given the opportunity to participate in volunteer tree planting. The Selwyn District Council identified suitable locations and most importantly the location of YHA New Zealand’s National Office in Christchurch provided an opportunity for an initial pilot planting day. The first planting was held in September 2005 at Coes Ford, another planting day was held in 2006. 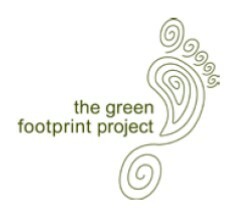 The Green Footprint Project was officially launched with partners Waihora Ellesmere Trust, Landcare Research and the Selwyn District Council at the Christchurch City hostel in December 2006. Plantings have been done at Coes Ford and Chamberlain Ford (on the Selwyn / Waikirikiri River). The most recent Green Footprint planting was at Lakeside Domain on the shores of Te Waihora / Lake Ellesmere. The Green Footprint Project endeavours to contribute to New Zealand’s landscape and biodiversity, while also sequestering carbon over the longer time frame. To create a green corridor for wildlife to successfully navigate through areas that would otherwise not be possible. To attract bellbirds back to the area and enhance the local indigenous biodiversity. Involve staff, members, travelers and local community in planting days. To offer travelers the opportunities to purchase a tree or shrub while staying at our Christchurch hostels. YHA shown to be a leader and role model to other Tourism Industry sectors through its involvement in this program. Furthermore, YHA New Zealand will be able to actively promote environmental stewardship through its own social and environmental actions to the wider community. Funds raised by YHA pay for the purchase of plants they also supply food for the bbq lunch. The Waihora Ellesmere Trust funds a ecological restoration specialist from Wai-ora Forest Landscapes Ltd to lay plants out and demonstrate best planting practices. Hence the plants will get the best start enabling them to grown and survive. A big thank you goes to the reserve committees for the work they do in maintaining the plantings.